Stars of shows Samoans here and abroad have come to embrace and love are back home. The biggest one perhaps is Robbie Magasiva who was spotted at Taumeasina Island Resort yesterday. He was with the crew of Fresh TV and Coconet TV; two major platforms promoting the Pacific. 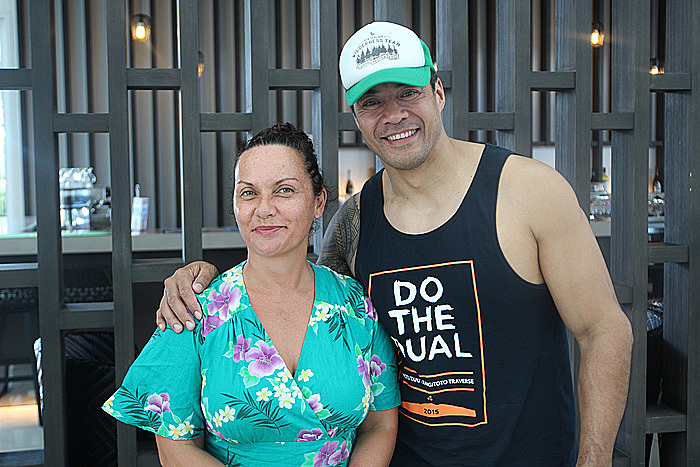 They are in the country to film a series of stories focussed on Samoa. Mr. Magasiva is working with Coconet Producer Lisa Taouma, Oscar Kightley and Maryjane McKibbin. According to Ms. Taouma, their focus is the youth of the Pacific. “Right now we have a new show for Pacific Islands young people; the show is called Fresh which comes on here in Samoa,” she told the Sunday Samoan. “We also have an online channel called the Coconet TV so we’re here to film an episode for Fresh with Robbie Magasiva, Oscar Kightley and Maryjane McKibbin; the old Sione’s Wedding cast." “We are just filming the last parts now. We’re trying to do a big promotion of Samoa especially because of the bad publicity Samoa has had over the last two months." Ms. Taouma believes an internet channel for the Pacific people is vital. 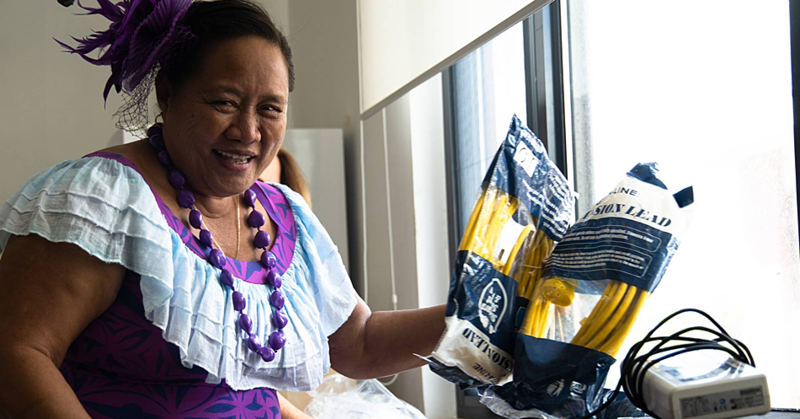 “Coconet TV is very important to us because all the Pacific shows on TV are on at very bad times; this is because TV New Zealand is ruled by mainstream palagi audience,” she said. “So where we win is online. The online space is very important for Pacific people because we are high users of the internet. In New Zealand Pacific people are one of the highest users of the internet." “So we’ve got this channel the Coconet TV where we run lots and lots of stories mostly for Kiwi Islanders because that’s what we’re funded for but what it is, it to bring stories of the islands to New Zealand born pacific people." 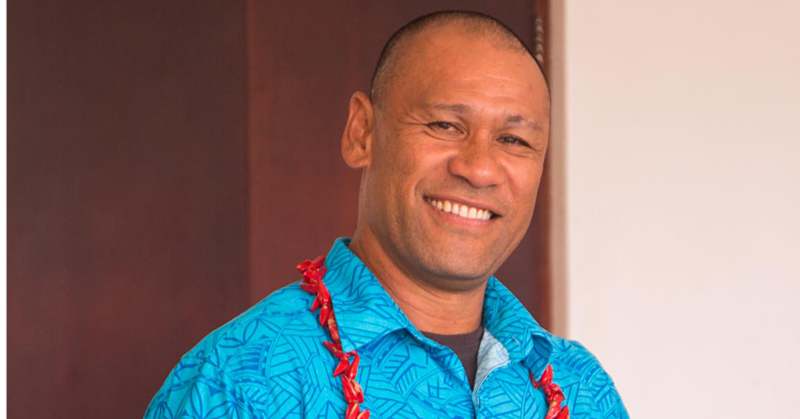 According to Ms. Taouma, there is a real demand among overseas-based Samoans for local content that would educate them about themselves. 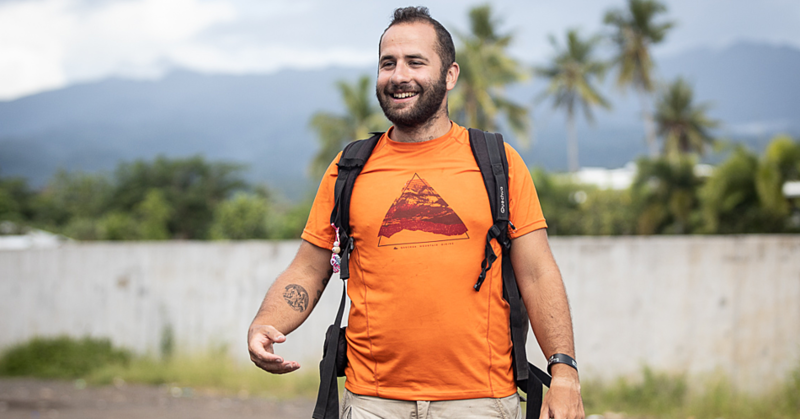 With the ability to teach people the ways of the islands through the internet, Coconet has proven to be a great part of honing our Pacific Culture. Ms. Taouma says they will cover a wide range of stories in Samoa to give people a real feel of what the way of life is like over here. “We will be doing a story on Adventure tourism in Samoa,” she said. But what inspires someone like Ms. Taouma to do what she does? “What inspires me is when we do stories and you see the influence it has on young people,” she said. “Like when you see young people with T-shirt slogans made of things from your show and you see the total influence Fresh and Coconet has on these youngsters." “The bottom line is, this is the first time we’ve had this many brown faces on TV so it’s amazing for this generation to see stories with brown people in them, it shows them that their identity matters. “People like Robbie and Mario who have been in these movies shows these young kids that their stories are important."